When you need to know, we’re here. Are you the father? We perform court-admissible DNA paternity testing in our office for just $389. Court-admissible DNA Paternity Tests – Unlike the $79 At Home Tests! In many cases, DNA paternity testing is court-ordered. Our DNA paternity tests are guaranteed to be court-admissible, unlike the cheaper tests you see advertised on the Internet. 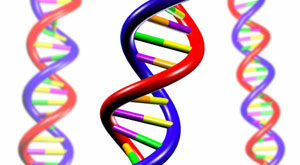 For a court to accept the DNA paternity test, it must be performed in person. If you order a cheap test, you could swab anyone’s cheek and say it was you, and courts know this. When you have the test done in our clinic, we take the required cheek swabs, fill out the client ID, chain-of-custody, and consent forms, and attach your photo to prove exactly who we tested. Oftentimes, people’s futures are riding on the results of these tests. We understand the importance of DNA paternity testing and we take every step very seriously. Who is Helped by DNA Paternity Testing? That’s a price that’s hard to beat! And our service is always the very best. Our lab choice, Genetica Labs, is a leading analytical laboratory specializing in DNA analysis for paternity, family reconstruction, and ancestry. Their DNA paternity tests are over 99.999999% accurate! We are located in Lockport, IL just minutes from Joliet.